Things got pretty laid back in my house this summer and I didn’t feel the pressure to have dinner on the table at a specific time. No sports to deal with and kids definitely went to bed later. But reality just kicked in again and the dinnertime crunch is on. 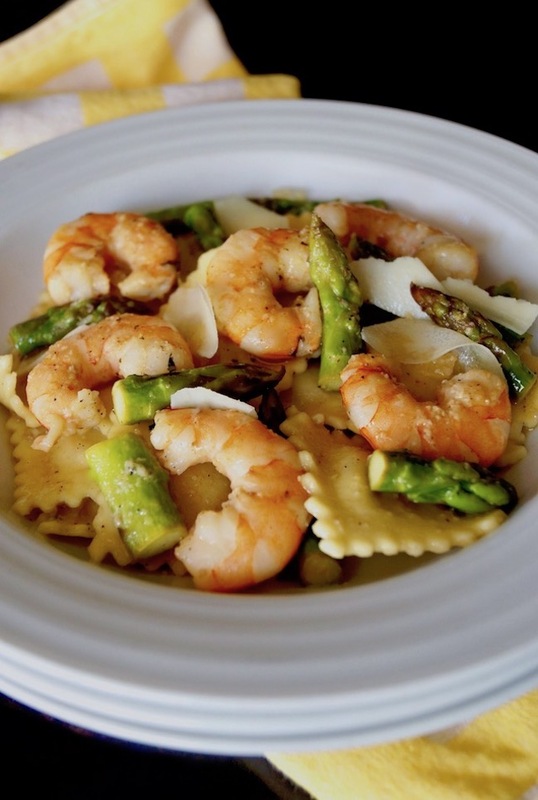 Enter this ravioli, asparagus and prawn recipe. It doesn’t get much better than a delicious, hearty, healthy dinner that’s also quick and easy to make. Oh wait . 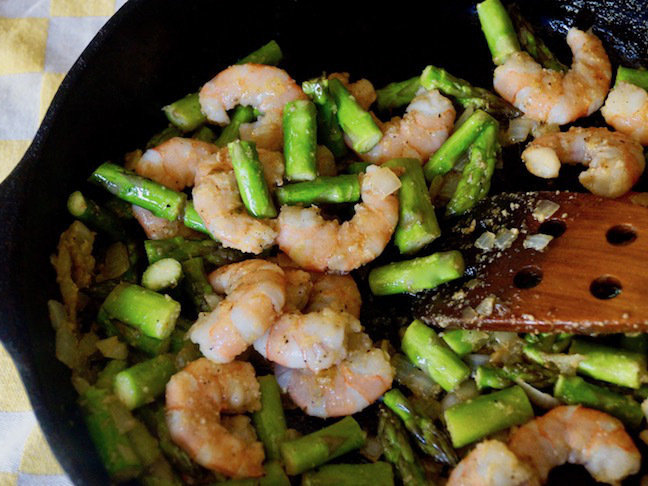 . . it does get better when it’s cooked in one skillet! 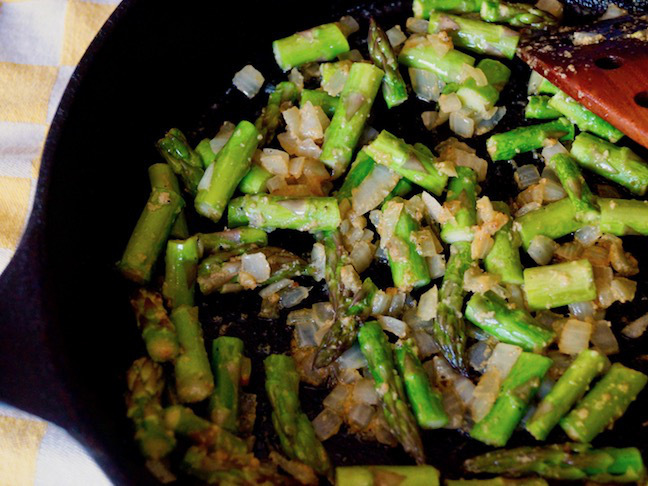 And this well rounded meal also happens to be the dish that got my picky 13-year-old son to enjoy asparagus. 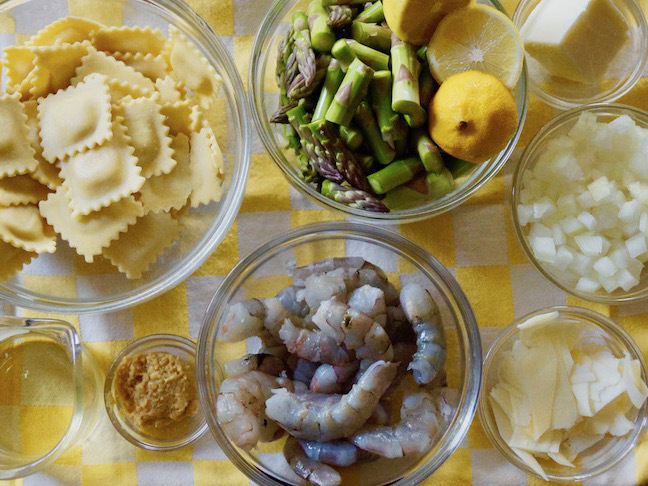 Must have been something about it being mixed into the cheesy ravioli and delicious buttery lemon sauce! 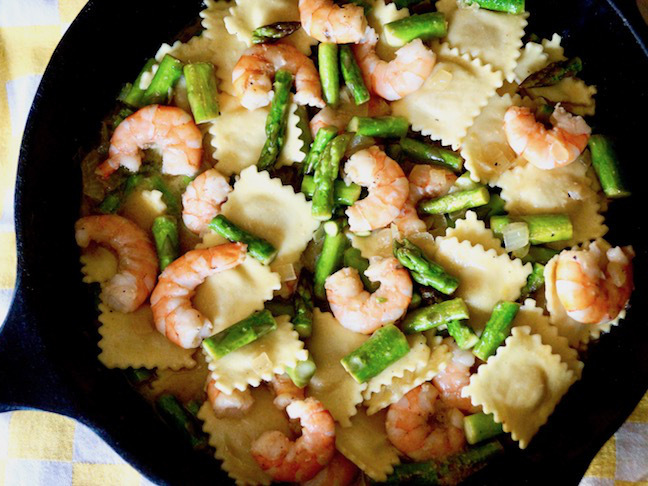 Step 6: Add the prawn. Sauté just until it’s cooked through and opaque.